Officially verified as the first production electric car to exceed 1000km on a single charge! Congratulations Tesla Owners Italia!! 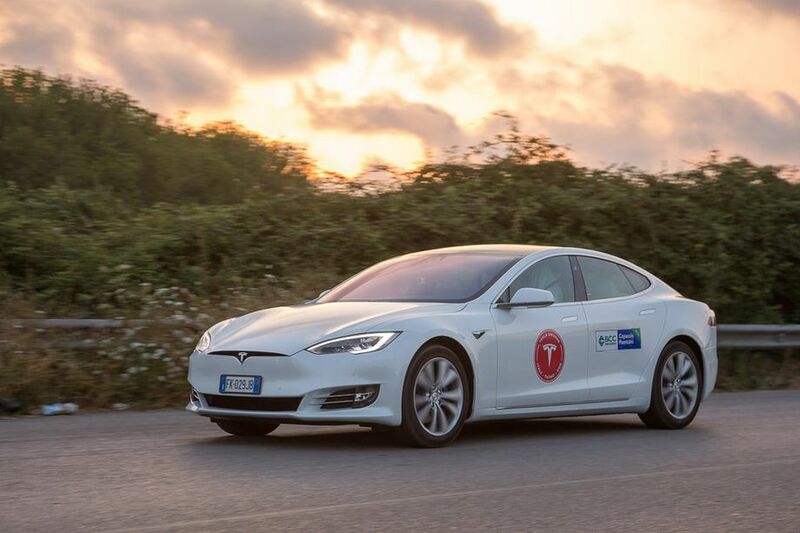 The Tesla Owners Club Italia has set a new record for electric car range, driving a Tesla Model S P100D 1,078km on a single charge. The drive is the first time a production electric vehicle has broken the 1,000km mark on one charge. To achieve the record, the drivers kept the car at 40km/h while riding on low-rolling-resistance tyres. Air conditioning was also turned off and smooth driving techniques were employed. The record run took 29 hours to complete. Factors preventing potential buyers from purchasing an electric car are the relatively short ranges and the long charge times to get a vehicle’s battery full, and the test will aid Tesla’s efforts to get its vehicles mainstream.